There are no reviews for Extreme Cold Weather / Hymn to Abramelin yet. You can write one. The tracks from Hymn to Abramelin are remixed and "Messiah" is a "new version". 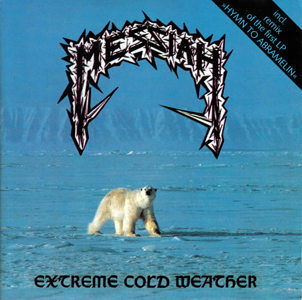 The CD omits all spoken interludes from both LPs and "Mother Theresa (Dedicated in Love to Mother Theresa)" and the live tracks from Extreme Cold Weather.